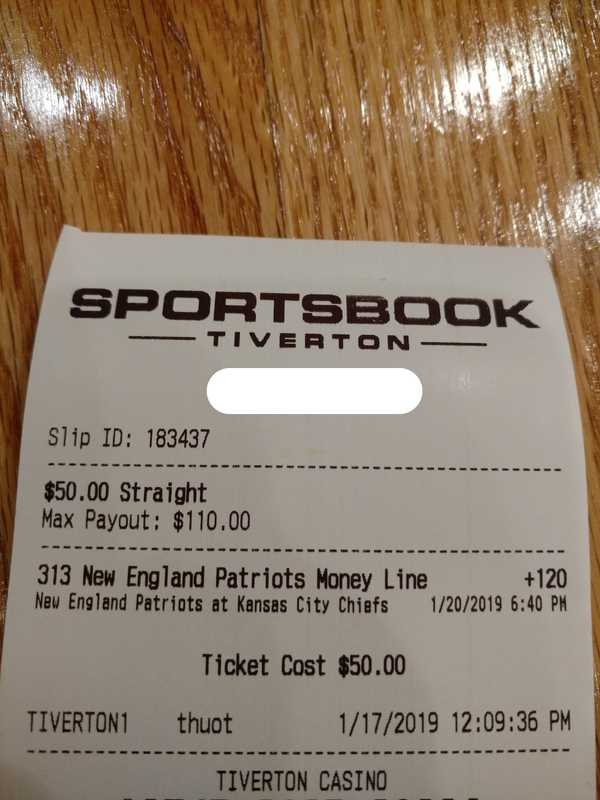 Earlier this week, I became one of the relatively few people who have gambled legally on sports in New England. There are only 8 states with legal sports books. Rhode Island is the only one of those states in New England. It started accepting bets 53 days ago. I’m sure quite a few people have placed bets in 53 days, but as you probably know, Rhode Island is a small place, and I doubt people from other states have flocked down here to place a sports bet. I’m well aware that betting on sports is not a good financial decision. I don’t think I can beat the house. I would be surprised if I place more than 3 bets this year. I’m not going to say that I believe in signs or fate. However, I think there’s quite a set of coincidences afoot. I happened to be in the same town as the casino for another reason. If I had to drive more than 5 minutes out of my way, maybe I wouldn’t have done it. I thought it might be an interesting, unique thing to write about. It’s not every day you read a personal finance blogger write about gambling. It’s also a good weekend bonus article. For those who don’t know how to read a betting stub, I’m betting on the New England Patriots to win today. Since they are the underdog (likely to lose), I’ll get a little more money than gambled. I gave the casino $50 and they’ll give me $110 if the Patriots win. That’s a net win of $60. If the Patriots lose the casino will keep my $50. I was going to go into a lengthy list of reasons why I’m confident about the Patriots winning today. Unless you are reading this from 6 states, you aren’t interested in that. Instead, I’ll just say that this is the first time that Tom Brady hasn’t been favored in 69 games. The casino is willing to give me more money than I’m betting and I’ve got the greatest player in history and the best defense. I’ll completely ignore that the Patriots are on the road against who will be the league MVP. It was painful the New Englanders too. Well based on the other comments, it sounds like you won? If so, congrats! I think a little gambling once in a while is fun. It’s when we make a habit of it that it gets dangerous. Otherwise, it’s just like any other outlay we work into the budget.